'St. Mary's Chapel', Ashwellthorpe, Norfolk. An original article from the Archaeological Journal, 1988. - ROSE, EDWIN J. ROSE, EDWIN J. - 'St. Mary's Chapel', Ashwellthorpe, Norfolk. An original article from the Archaeological Journal, 1988. 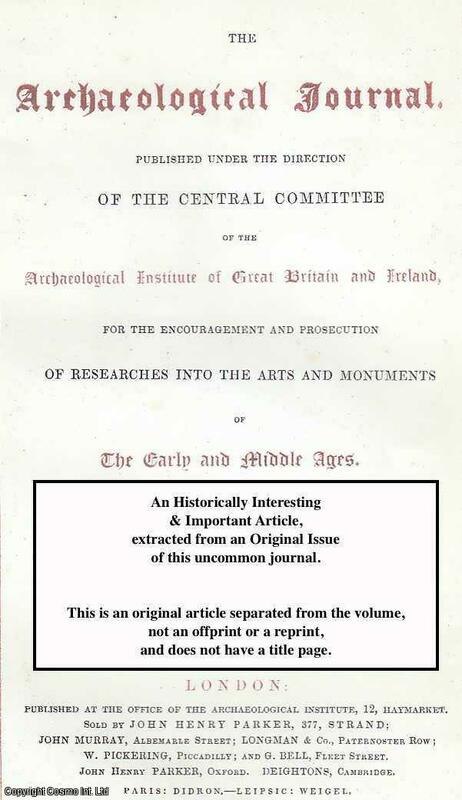 Archaeological Journal of the Royal Archaeological Institute, Vol.145 for 1988, published 1989. 1988. First Edition, Disbound. Very Good Condition. Quarto, 8 pages, 1 figure and 4 pages of plates. Note; this is an original article separated from the volume, not a reprint or copy. Quantity Available: 1. Category: Archaeological Journal; Inventory No: 071705.